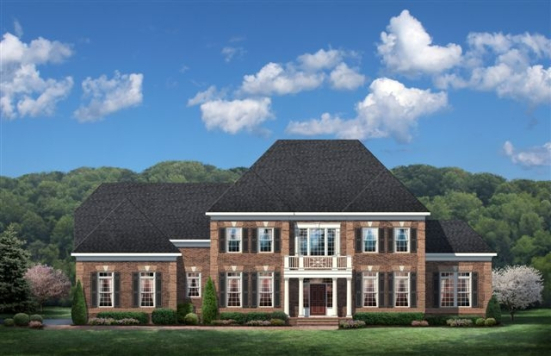 WESTERN LOUDON COUNTY — No question the appeal of living in and around Hamilton, VA starts with the magnificent rolling landscapes and picturesque Catoctin mountain views. 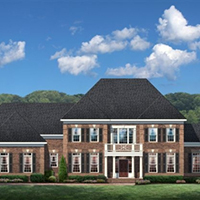 The unique appeal of Waterford Creek starts with the grand, award-winning homes we build on each of this community’s 3-acre homesites – up to 6600 sq feet of grand. In our new estate section you’ll see something else most other area builders can’t show you, spectacular wooded backdrops behind every home. So your family can enjoy the best of both worlds – impressive, open acreage in front and secluded privacy behind your home. And if you’re looking for more land, more trees, AND more home, check out our huge, new 4,823 sq ft. (that’s just on the main and upper levels) Augusta plan. You could call it our “family plan” because every bedroom upstairs (four of them, including the owner’s suite) comes with its own private bath. Want to know more? Call Tom West at 703-926-7241.